Landing pages are arguably one of the most effective ways to sell products. WooCommerce is a powerful eCommerce solution that can power landing page purchase options. Here’s how to create landing pages using WordPress and WooCommerce. The following article will explain how to setup a basic landing page with several options to integrate WooCommerce. These options range from easy to more advanced. Please keep in mind that, a high-conversion landing page not only has effective purchase options but also utilizes an optimized layout, a compelling use of copy, imagery and video. Why WooCommerce for Landing Pages? Advanced Reporting – Version 2.1+ features a much improve reporting interface so you know exactly how many sales occurred and when, plus much more. Shipping Integrations – WooCommerce can tie into 3rd party shipping APIs such as UPS and FedEx to provide real time shipping rates for your physical products. 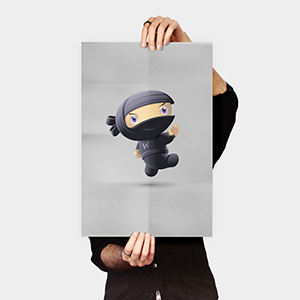 … much more – I’m not going to list all the enhancement WooCommerce offers for landing pages. So check out the site to learn more about what exactly this plugin can do. 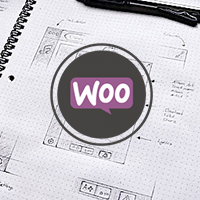 Are you convinced WooCommerce is your preferred landing page backbone? Great. Let’s move on. Before beginning you first should have a WordPress install ready with WooCommerce setup with a few products. 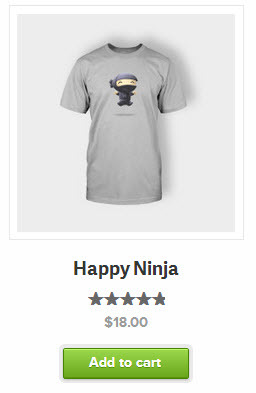 WooCommerce comes with product pages and a shop page listing various products but default. We’re not concerned with these default pages and depending on your use case you may not even want to use them. Tip: if you don’t want to use any default pages of WooCommerce such as the single product posts, shop catalog, and cart then you may want to redirect these pages and ensure they are not in your sitemap. Use a Plugin – There are several plugins available, both free a premium, that allow you to create landing pages without ever touching code. Two plugins I recommend are Parallax Gravity Landing Page Builder (freemium) and Parallax One Page Builder (premium). Be wary of the plugins that replace/shut off access to your theme and are rather considered ‘maintenance mode’ or ‘coming soon’ pages. These plugins may not be compatible with WooCommerce. Use a Landing Page Theme – There are lot of themes available for WordPress built specifically for landing page creation. Two that are worth checking out are Appos from Themes Kingdom and Onesie by Graph Paper Press. Essentially, these themes make it easy to build a landing page that’s WooCommerce compatible with relative ease, that’s responsive and requires no coding. Combination of Theme and Visual Builder – Plugins like Visual Composer and VelocityPage make building layouts using your current theme a breeze. They allow you to visually structure your page with columns and rows and insert content, images and media. They sit atop your existing theme and most offer a frontend editing capability that typically does a good job of showing you how the page will look once you are finished building it. 100% Hand Coded – For the ultimate flexibility you can always hand code your landing page. Of course, this requires that you have the knowledge necessary to build it. The plus side is that you’re not reliant on any outside theme or plugin. The downside is it takes longer. Before you begin building it’s worthwhile to spend some time sketching the layout on paper or using a wireframing tool to decide the layout you want to build. That way, you know the structure you’re aiming for and have a plan of action when building the layout. How you want to integrate WooCommerce with your landing page depends on what kind of product you are selling. Is it a physical product or digital? Is it a simple or variable product? 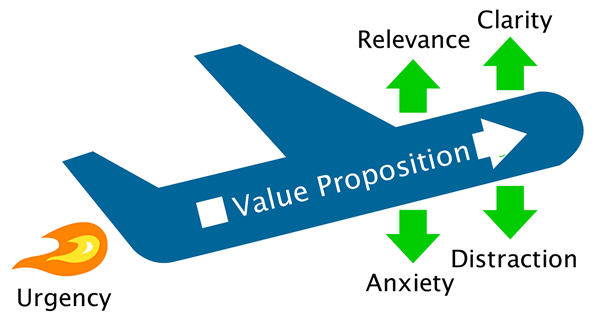 The type of product(s) you are selling will help determine the best route of integration. The trick is here that you will need to customize the single product page templates so that only the output you want on the landing page is displayed. For instance, you most likely don’t want all the bells-and-whistles such as ratings, images, etc. You can either disable their output using hooks, or override the single product template files, or simply hide them using CSS. As mentioned, the standard WooCommerce shortcodes do not have the ability to add a variable product purchase button to your landing page. For instance, let’s say you are selling a service that has several levels of membership (ie gold, silver and bronze packages). There’s no way out of the box to include these buy buttons on page using the standard shortcodes. Tip: For higher conversion skip the cart and direct the user immediately to checkout upon choosing to purchase the product. This will reduce the clicks and time the user has to think about purchasing the product and help streamline the checkout process. Full disclaimer: I am the developer of this extension. With that said, I believe Quick Checkout that it’s the best option to optimize your landing pages for higher conversion rates. Essentially, this plugin allows your users to checkout directly on the landing page with zero redirects. This means less clicks and time required to purchase the product. Add a checkout form directly on page with a product ready to purchase in the cart. No need unnecessary carts or redirect. Simply fill out the form, click purchase and the product is purchased. Reveal checkout on page once a user elects to purchase a product by clicking the purchase button. Perhaps you don’t want to show checkout right away, or feel it clutters your layout. That’s where this option can help. SSL Secure your landing pages for added user confidence – Everyone like to feel secure. You’d be surprised how effective the little green lock can be. You can use a plugin like WordPress HTTPS to help you secure your pages. Responsive, responsive, responsive – I recently took a trip to Asia. Everyone, everywhere, was on their phone. It’s no different in the USA (albeit less obvious). Globally, mobile has taken over. It’s essential that your landing page shines on mobile. Faster = Better – Using a slow host? Don’t! Load time is vital to higher conversion rates. People hate to wait and if have to wait too long they’ll bounce out and purchase somewhere else. I recommend WP Engine or Flywheel to host your WordPress sites. There are many ways to sell your products online. Landing pages are a popular method that users are familiar with and can help increase sales and conversion rates. Using the power of WooCommerce you can have your cake and eat it too. Meaning, you get all the benefits of using WooCommerce and also can employ landing pages to direct your traffic. Hi, I purchased the Quick Checkout plugin and am looking for a tutorial how to get a lightbox checkout form after someone clicks a ‘buy now’ button on my landing page (see: http://www.lovefitfood.nl/fitfood-ontbijt-ebook) for this to work I need a url that links to the button… or am i missing something?? Would love some help with this!! I did.. but no response yet 😉 I did manage to wrap my head around the use of the shortcake BUT I really want the styling of the button so reflect the same styling options that my theme has… any solutions for that? Hi. I’m using Instapage to create my landing pages. I’ve integrated Instapage with my WordPress so that I can publish my pages on my website. 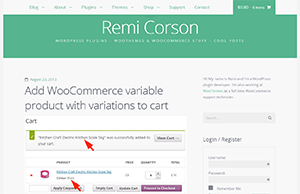 Now I’ve added Woo Commerce to my site. How can I use Woo Commerce in my Instapage landing pages? What I’d like to do is send a link to a woo commerce landing page in an email to my current clients so that they can sign up for a longer-term recurring subscription whilst they’re taking part in my 30 day challenge. Is your plugin set up to allow this? Hey guys, the support page that I’m being linked to from no matter where on the site I go is just a page with a blog post summary. I did indeed log in with the same account I used to purchase a single site license for the Quick Checkout plugin, so am I missing something? We did have a glitch regarding our new /support post category, but that was resolved yesterday. Try again. Thanks! Hi Devin, I have contact wordimpress through contact form but didn’t get any reply. I’m just asking if you have a free trial / guarantee for Quick Checkout?